Easy Caramel Apple Cupcakes is a sponsored conversation written by me on behalf of General Mills. The opinions and text are all mine. When it comes to fall there is something about pumpkins and apples. Just two flavors that scream that fall has arrived even when we’re still down here sweating it out in Houston. But this weekend we finally got a touch of cooler fall weather and we had to celebrate with a sweet snack! 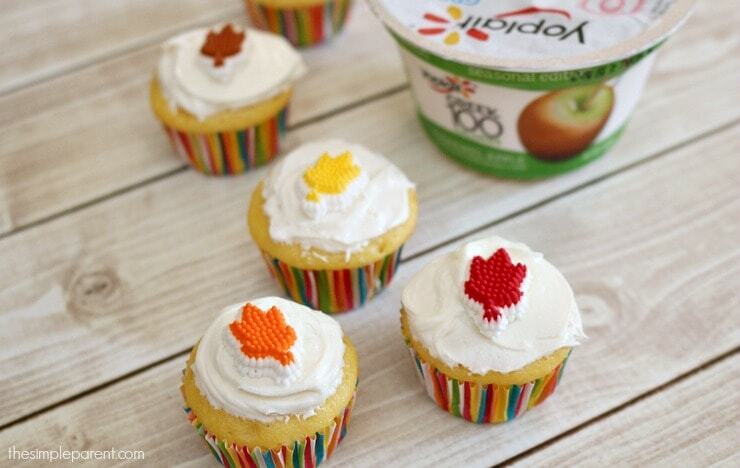 With help from Yoplait, we whipped up some easy caramel apple cupcakes and some cinnamon frosting! They were so easy that the kids could help! 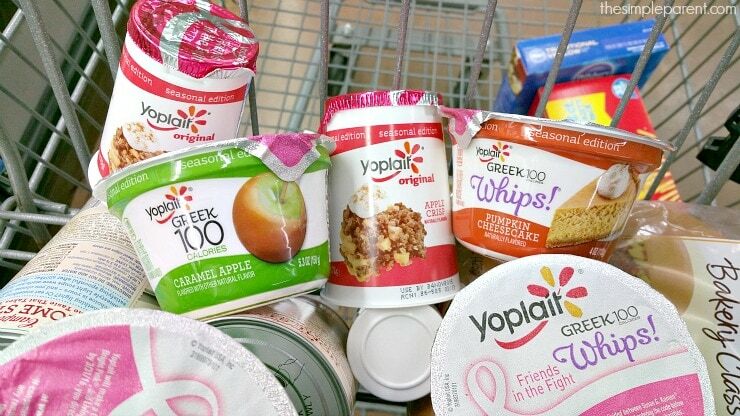 Each day I enjoy a Yoplait Greek 100 or Yoplait Greek 100 Whips yogurt for a snack so when I found Yoplait Greek 100 Caramel Apple and Yoplait Greek 100 Whips! Pumpkin Cheesecake at Walmart, I stocked up on the seasonal flavors. Perfect taste of fall flavor and a snack I don’t like to share! They’ve also been the perfect inspiration for one of my new favorite cake tricks — making cake and cupcakes with greek yogurt instead of oil and eggs! 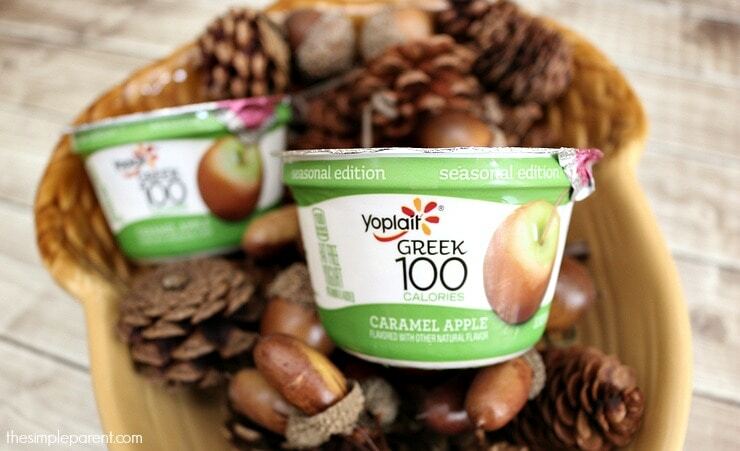 Yoplait Greek 100 Caramel Apple was the perfect inspiration for our taste of autumn weather this weekend. 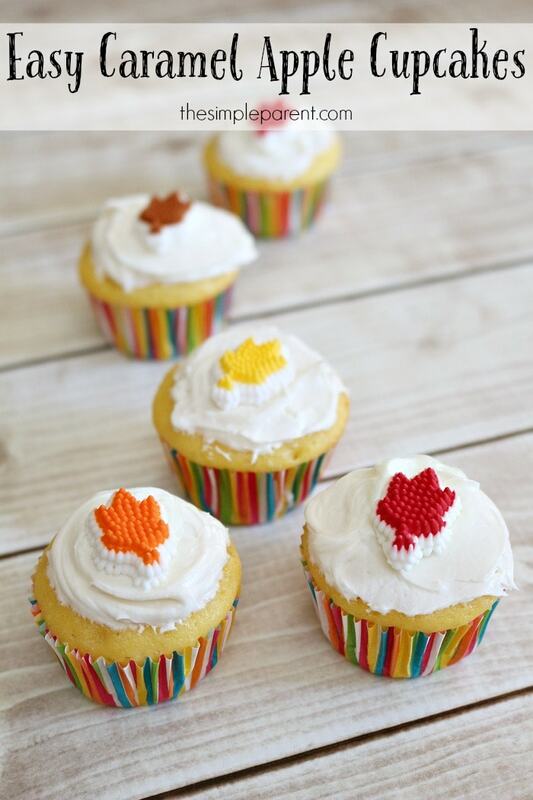 It’s the secret to turning an ordinary box of cake mix into caramel apple cupcakes! After Weston’s morning baseball game, he joined me in the kitchen to mix up a batch of caramel apple cupcakes! 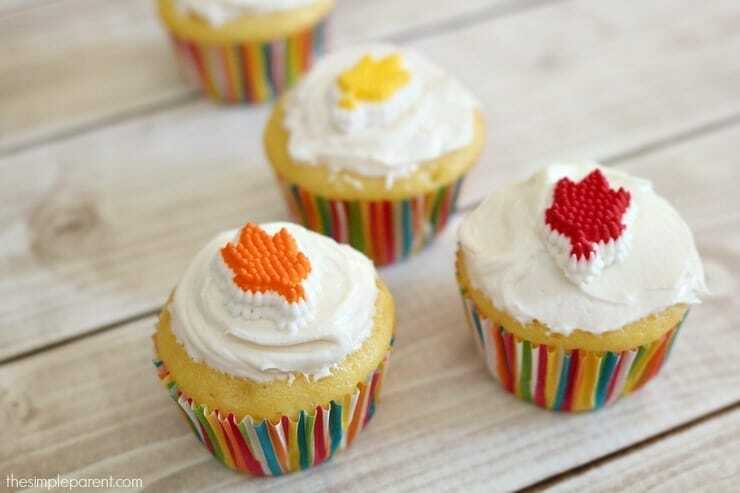 Oh, and if you’re worried about the cinnamon frosting I mentioned, it’s just as easy to make as the cupcakes! Heat over to 350 degrees. Line cupcake pan with liners or grease. 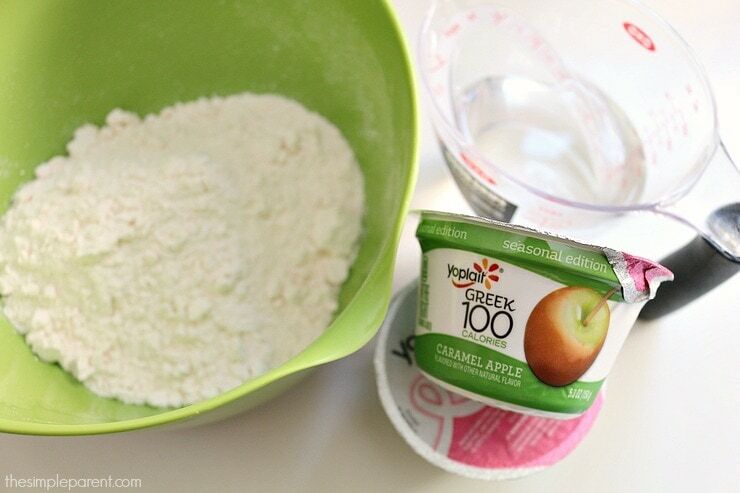 Mix cake mix, 1 cup water, and 1 cup Yoplait Greek 100 Caramel Apple yogurt together in a bowl. You will need more than one yogurt cup to get the full eight ounces. Bake for 20-25 minutes or until a toothpick in the center comes out clean. Cool in pan for ten minutes then move to wire rack and allow to cool completely. Empty tub of frosting into a large bowl. Add 1-2 drops of Cinnamon Essential Oil and use hand mixer to whip. Frost and decorate, as desired. 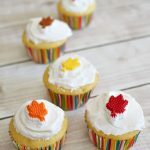 I’m loving using Yoplait greek yogurt in our cupcakes for a great option because the cupcakes come out so moist that they don’t need to be frosted. Of course, Carrigan’s favorite part is the frosting. But I can’t resist a moist, fluffy cupcake. Plus, the Yoplait Greek 100 Caramel Apple flavor turns a basic cake mix into easy caramel apple cupcakes and I love an easy recipe! It makes it easy to whip up a sweet snack that is perfect for the fall season! So be sure to visit Walmart and pick up your favorite season flavors!